The island of Malta with its beautiful beaches and clear blue waters is a perfect choice for any boating or sailing enthusiast. Lying about 100 miles south of Italy on the Mediterranean Sea, this island is full of wild life, beautiful coves and has been the backdrop for many blockbuster films like the Oscar winning Godfather. For expert information and advice about buying or selling boats and yachts in Malta contact one of our experienced advisers who will be happy to assist you. 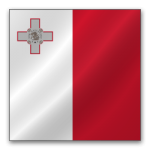 Below is the current list of boats for sale in Malta that are available to our network. State of the Art Van De Stadt , Hull 1992 with a total refitting just completed.